As well as providing a form of regular exercise, gardening could encourage people to eat more healthily if they grow their own vegetables, researchers said. It could also provide an important social benefit for those who share an allotment with others, for example by introducing them to like-minded people with similarly healthy lifestyles. Researchers from the University of Utah studied a group of 198 gardeners who shared community gardens - an American system similar to allotments - in Salt Lake City. They compared the gardeners' body mass index (BMI), calculated as someone's weight divided by the square of their height, against their neighbours to determine if their hobby made them healthier. On average, female community gardeners on average had a BMI which was 1.84 lower than their neighbours, which translates to an 11lb weight loss for a woman measuring 5ft 5in tall. For male gardeners, BMI scores were 2.36 lower on average - a difference of 16lb in weight for a 5ft 10in man, according to the study published in the American Journal of Public Health. 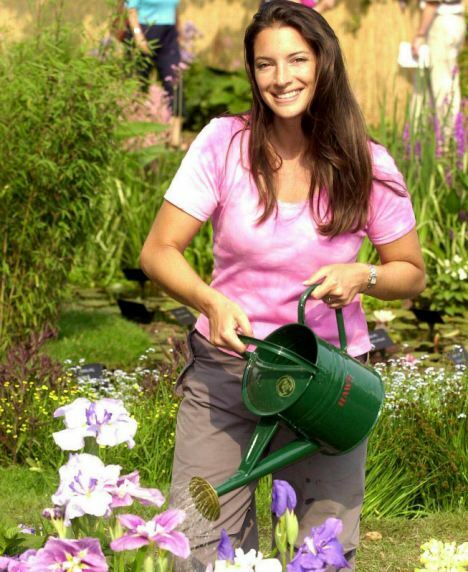 Female gardeners were also 46 per cent less likely to be overweight or obese than their neighbours. The figure for male gardeners was 62 per cent. Gardeners were also more likely to have a healthier figure than their siblings, but not their husbands and wives - suggesting that spouses may also benefit from helping out on the allotment and eating the fruits of their labour. Prof Cathleen Zick, who led the study, said: "This initial study validates the idea that community gardens are a valuable neighbourhood asset that can promote healthier living. "That could be of interest to urban planners, public health officials and others focused on designing new neighbourhoods and revitalising old ones."